The Artisan Inn is not confined to a single designated building, but instead occupies a collection of buildings woven into the fabric of the historic Town of Trinity. A New York Times article once credited Tineke as a pioneer in the concept of the Diffused Hotel. To the extent that they wish to do so, this allows guests to interact with other travelers and to integrate into the community. Solitude in a beautiful natural setting is also an option. How did this come about? 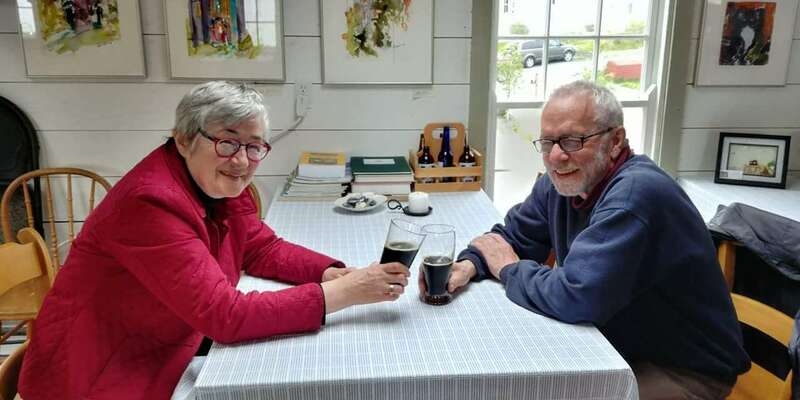 John and Tineke Gow first visited the town approximately 40 years ago. They purchased one of the oldest houses in Trinity, noted for its architectural style, featuring pierced-eve dormer windows. Because the town did not have street addresses by which homes could be identified, the Gow’s called it Gover House after the family of the previous owner. It had been unoccupied for several years, so time was of the essence to save the structure. Gover House received the first Scouthcott Award given for a restoration in Trinity. The Gow’s later purchased an adjacent property. The building also required extensive renovation, but a friend informed them that they now owned 2 of the 5 oldest houses in the community and that it was also of historic value. 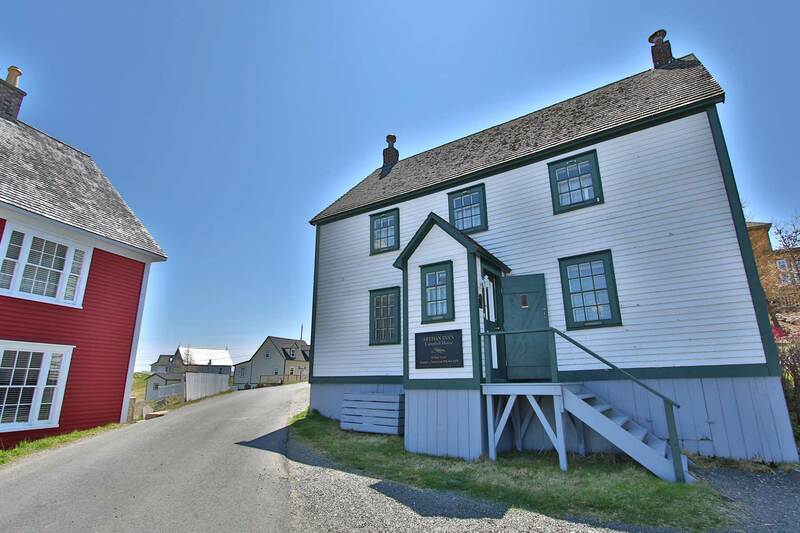 With the help of talented local carpenters, renovations were completed and Campbell House, named for the navigational teacher who once lived there, was designated as a Registered Heritage Structure. Campbell House became one of the town’s first B&Bs when Tineke opened the doors to visitors in 1992. 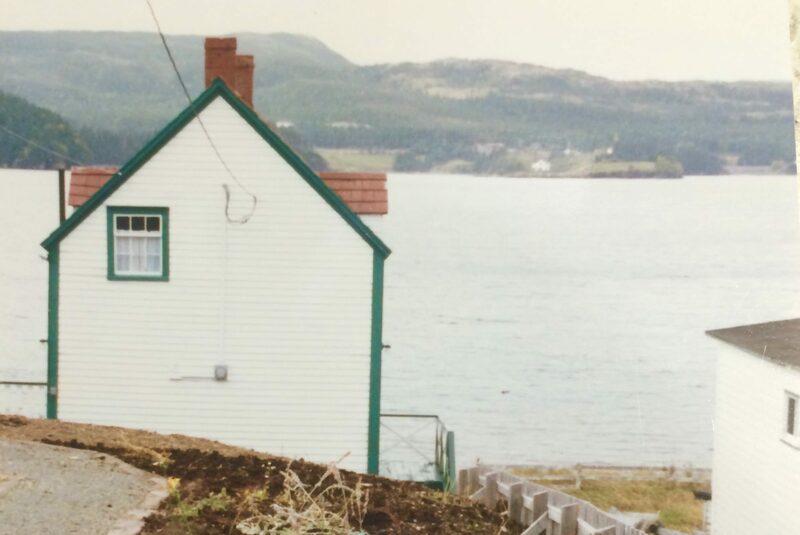 In 1997 Tineke purchased a nearby waterfront property that had, at one time, been owned by Captain Stanley Barbour, a close relative of the Barbour family of Newtown, NL. The newly acquired property is designated the Barbour premises. At the time, dining options were limited in the area and many of Tineke’s guests were seeking opportunities to enjoy casual fine-dining, featuring local flavours. 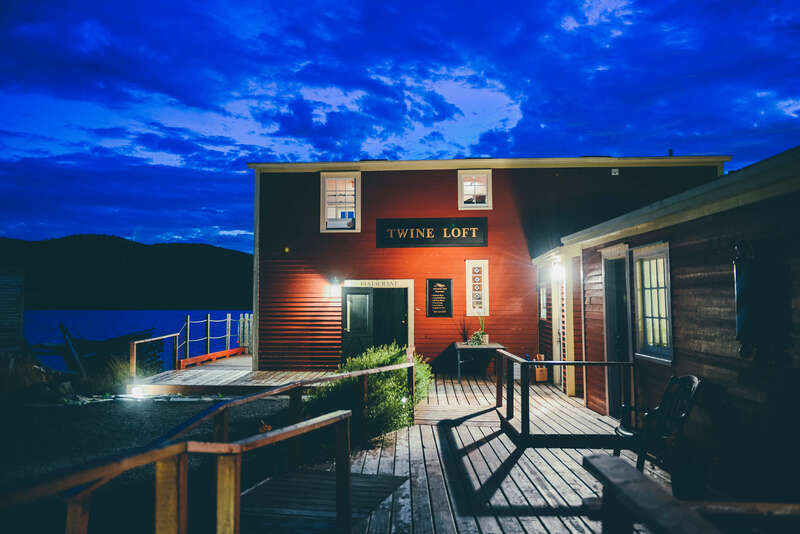 In 2000, Tineke restored Captain Barbour’s waterfront fishing room, once used to repair and store nets, and called it the Twine Loft restaurant. She wished to offer simple, yet well-prepared, set–menu, 3 course-meals served in a licensed establishment. This required changing from the B&B status to that of an Inn. The name Artisan Inn was chosen to represent all aspects of the business. From the moment Tineke began welcoming visitors to the area, various guests also became enamoured with the community and purchased homes for summer retreats. Some only used their houses for a few weeks of the year and approached Tineke to manage them as vacation homes. This began Tineke’s Vacation Home management program which today includes 6 additional homes. These homes are located within the historic center of Trinity and each has an excellent salt-water view. All are within a ten-minute walk of the Twine Loft restaurant where meals, drink service, itinerary planning and socializing happens. 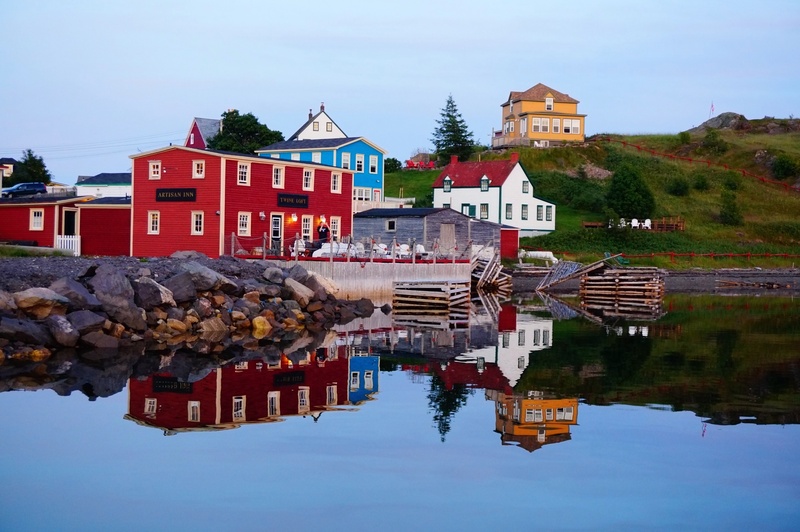 Learn more about the HISTORY OF TRINITY HARBOUR in our Explore Trinity section. If you are a member of the press looking to write or produce a story in our area, please visit our INFORMATION FOR MEDIA page.